Faf du Plessis played a blinder against SRH on Tuesday night to put CSK in IPL 2018 final. Chennai Super Kings registered a thrilling two-wicket victory over Sunrisers Hyderabad on Tuesday (May 22) night to secure their spot in the IPL 2018 final. CSK skipper MS Dhoni won the toss and invited SRH to bat first. 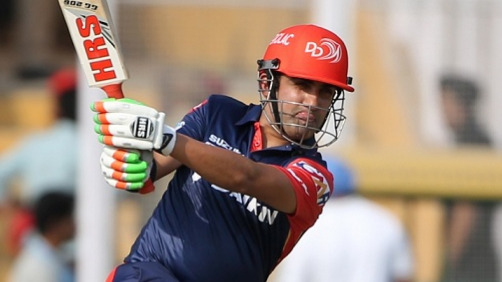 Chennai rode on a collective bowling effort to restrict Hyderabad to 139/7 in 20 overs. While Dwayne Bravo scalped 2 for 25 in his 4 overs, Deepak Chahar, Lungi Ngidi, Shardul Thakur and Ravindra Jadeja claimed wicket apiece. In reply, CSK got off to a terrible start as Siddarth Kaul and Bhuvneshwar Kumar reduced them to 24/3 in 3.4 overs. Rashid Khan dented the Chennai batting line-up even further by removing Dhoni and Bravo in quick succession. When everything seemed down and out for CSK at 92/7, Faf du Plessis turned things around by smashing 20 runs in the 18th over. Shardul Thakur, who had a terrible outing with the ball, hit Kaul for 17 runs in the penultimate over to almost seal the deal for CSK. Du Plessis fittingly hit the winning six off Bhuvi's bowling to secure the match with 5 balls to spare. He remained not out on 67 runs off 42 balls (5 fours and 4 sixes) while Thakur played a great hand of 15* runs in just 5 balls. Speaking after the match, Chennai’s head coach Stephen Fleming admitted that individuals stepping up to the plate at different junctures is the key to their success in IPL 2018. “The game obviously has its ups and downs, twists and turns, but we have had a season where we have won from unwinnable positions. Today was one of those,” Fleming quoted as saying by Wisden India. “It’s been individual players that have got us out of trouble. Different players all the time. MS (Dhoni) is the usual culprit, but a player today who hasn’t played that much came out on the biggest stage of the tournament. For Faf to do that is a testament of his skillset, but mindset as well. Sometimes, it is down to luck. 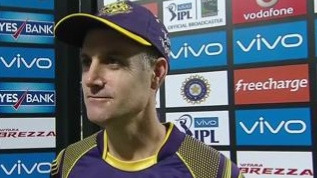 He just picked the guys at the right time and played the innings for the team that means so much,” he added. It is worth mentioning here that CSK had finished the league stage at No. 2, having won 9 of their 14 matches. Sunrisers Hyderabad will now face the winner of Kolkata Knight Riders and Rajasthan Royals on Friday (May 25) and the triumphant of this match will take on Chennai in the final on Sunday (May 27).